When we got home from PAX West, we had a few packages waiting for us. 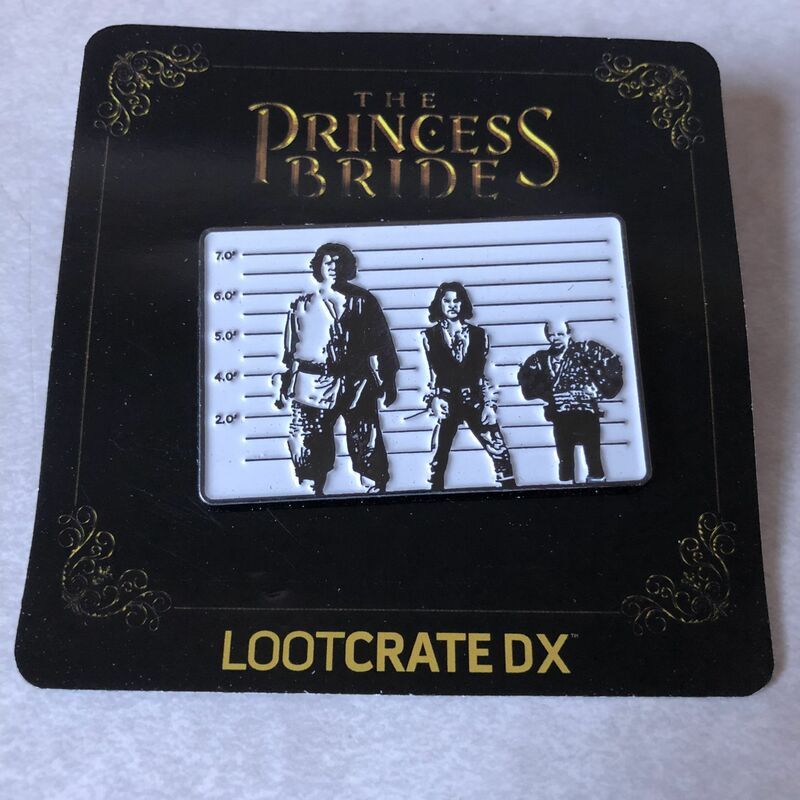 Specifically one from Loot Crate DX where we got a new box… from July. No, that’s not a type, clear as day on the information in the box, the items we’d been waiting to arrive for almost two months finally came for us to review. 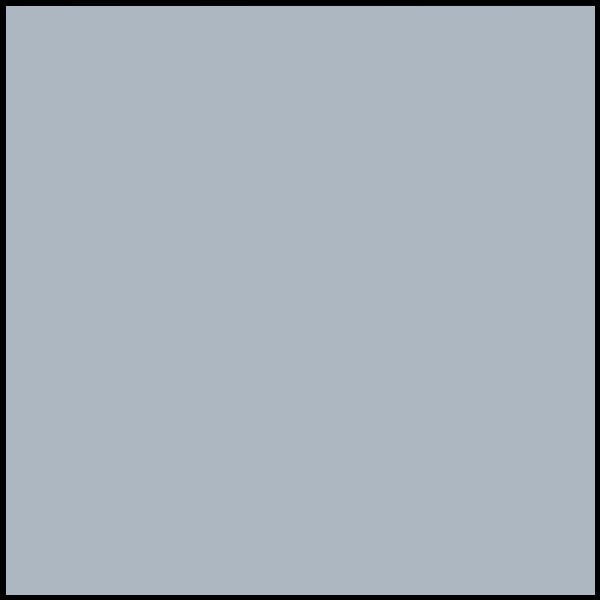 So as we wonder what happened to the August and September boxes, let’s check out what’s inside this one. We’ll start with the pin, which is actually a pretty cool looking one as we have three of the main characters from The Princess Bride stretched across a police lineup wall. The go, in order, Fezzik, Inigo Montoya, and Vizzini. A nice nod to show Andre The Giant was over 7′ tall. It’s a funny pin with nice enamel and a cool looking design. The only drawback is that its still on a metal stopper and not a rubber one. 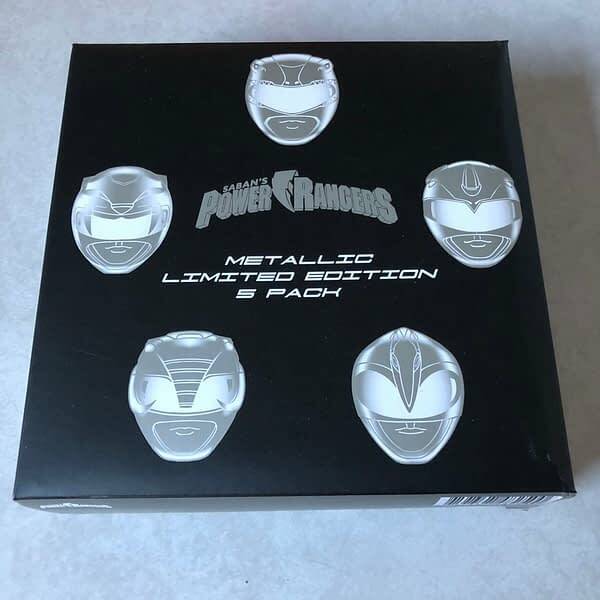 Next up, we have a five-pack of Mighty Morphin Power Ranger figures in what’s called a Metallic Limited Edition 5 Pack. Basically, it’s the original five from the TV series, all posing as if they’re about to kick some Puddy tail. 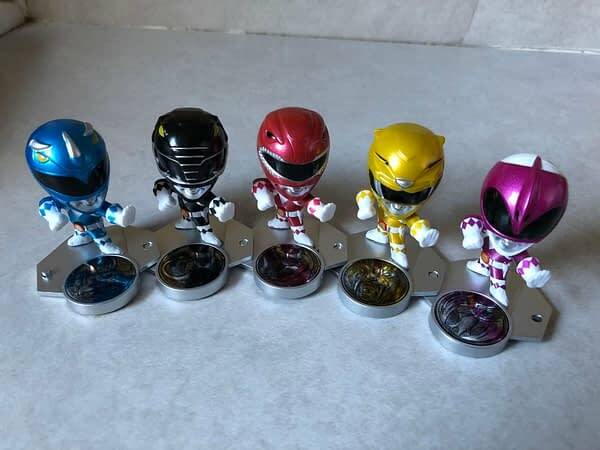 Each one stands on a small metal platform with their ranger symbol at the base of their feet. If you look at the bases, you can see they all connect together in any way you deem fit. 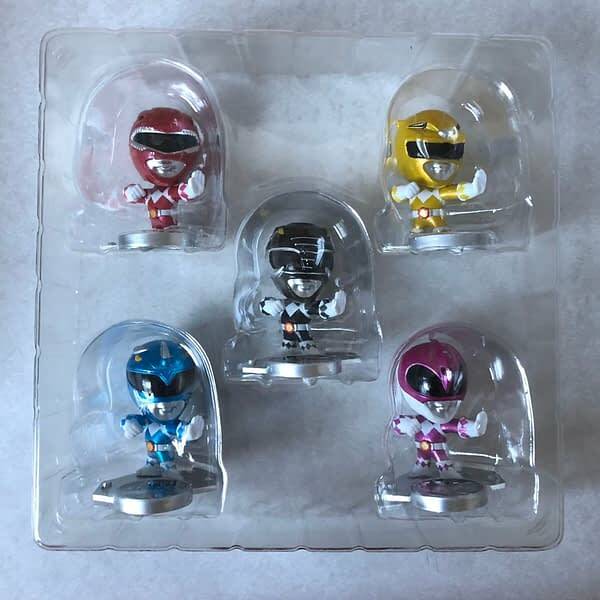 These are some really awesome characters for Power Rangers fans to own, but they’re smaller than you might expect and are not poseable. So cool, but only slightly cool. 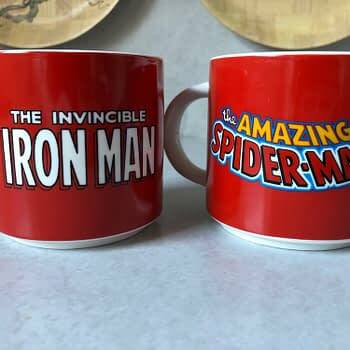 One of the best items in the box was a pair of Marvel Stacking Ceramic Mug Set. 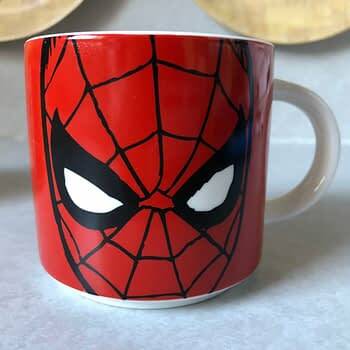 These are slightly smaller coffee cups featuring the faces of Spider-Man and Iron Man, old-school ’70s art style with the comic book’s official logos at the time. 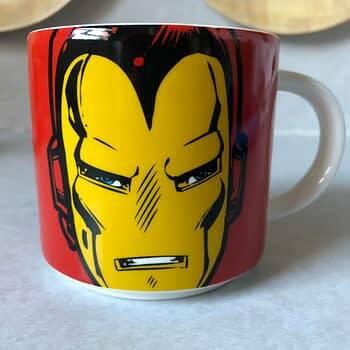 We love these, but they also bring us a little bit of sadness. Each box only has one pair, and the crate informs us that there are actually two pairs, with the other being The Hulk and Captain America. So while you’re getting two awesome characters, either way, you’re also getting an incomplete set. A little sad, but still cool to have. 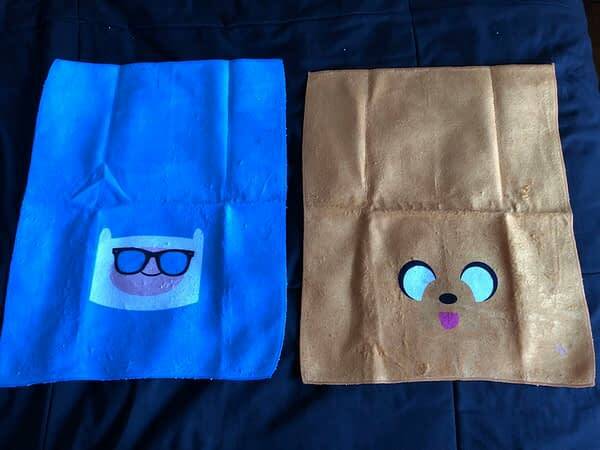 Next in the box, we have a weird item that does serve a function as we got an Adventure Time hand towel set. 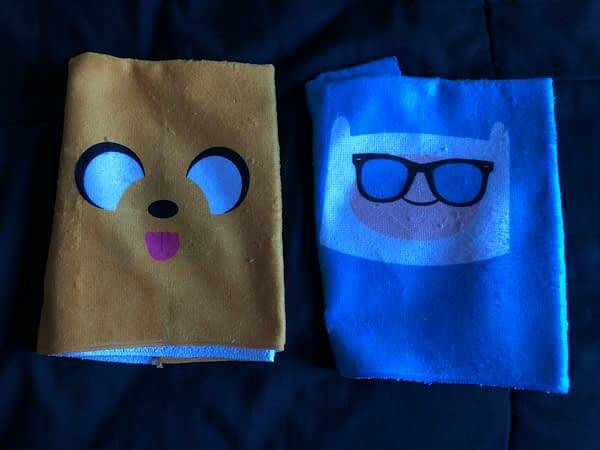 Jake and Finn can now help you clean up in the bathroom as you have a pair of towels that are soft on one side and slightly rougher on the other, depending on what you’re cleaning and wiping down. The look nice, but they also shed. Seriously. After taking this photo I had to run a vacuum over my sheets. You need to run them through the wash once. They’re not the greatest towels in the world, but if you’re a fan of the show, they’re the only towels in the world. 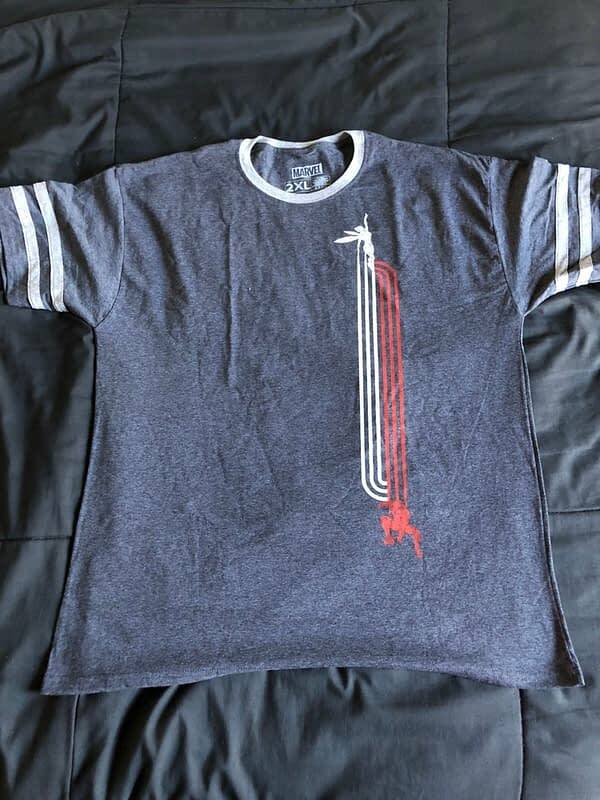 Finally, the make-or-break item of the box: the t-shirt. 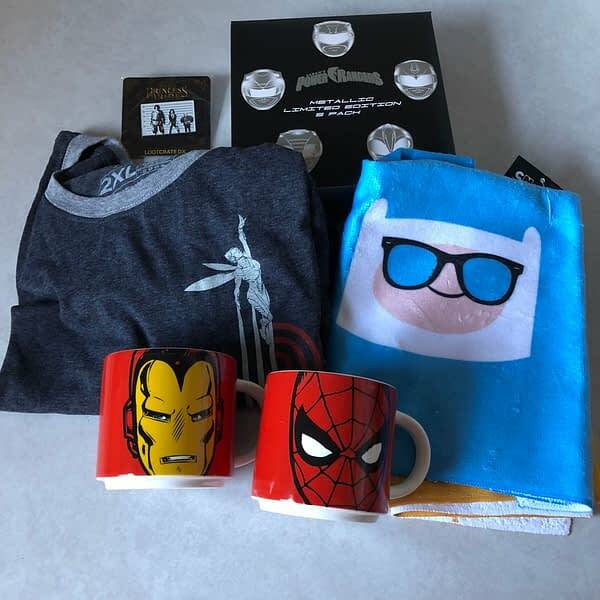 If anything proves this box is from July, it’s the fact that we’ve got a baseball t-shirt featuring Ant-Man & The Wasp. I like this design as it has the two characters going in opposite directions, followed by streams of white and red behind them as they take to action. The overall design of the baseball-t is great, the only thing I hate about these shirts is that they’re designed to be tight. The arms were hugging and were a little too tight, while the waist only proved I need to lose weight. 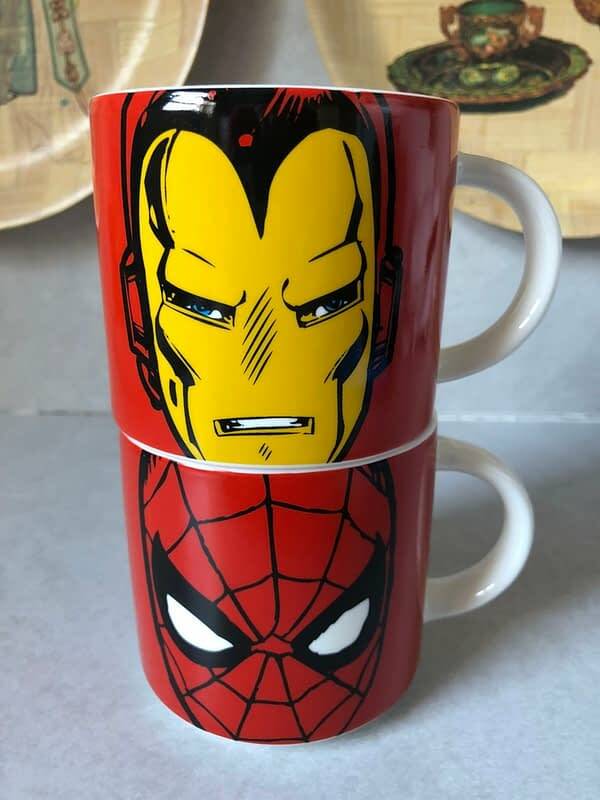 It’s a great design if you’re thin. Those of us with a little extra weight look unflattering in it. 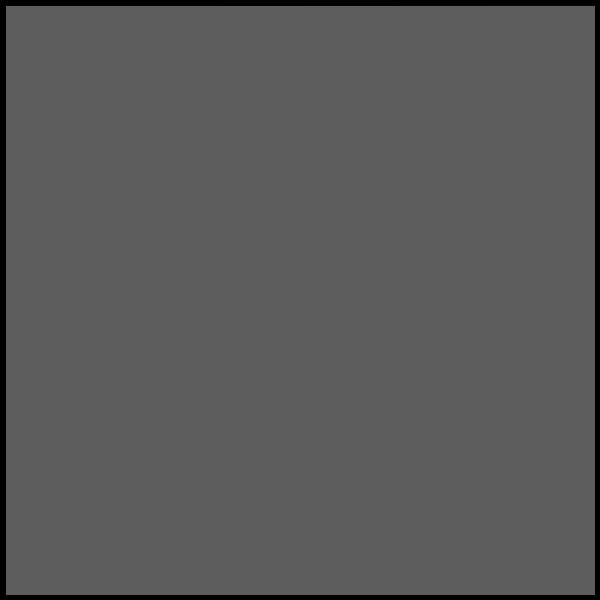 Overall, this box was kind in the middle. Everything was cool, but they came with drawbacks. And that’s the kind of thing that could cause people to second-guess their subscription. 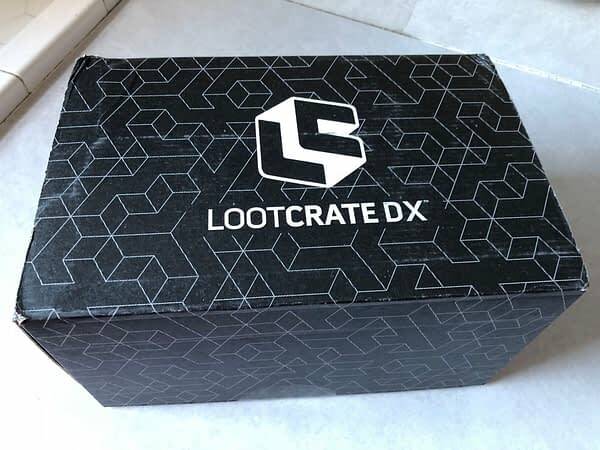 Hopefully, the next two months of Loot Crate DX boxes arrive soon and help put this line back on track.